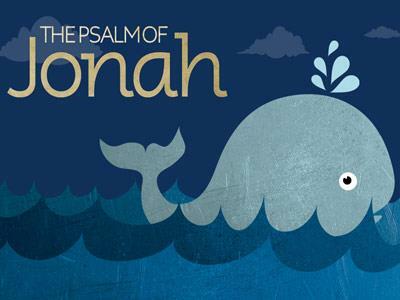 Summary: The Salvation of YHWH, please see resources for background information on Jonah. 2 1 From inside the fish Jonah prayed to the LORD his God. 2 He said: "In my distress I called to the LORD, and he answered me. From the depths of the grave I called for help, and you listened to my cry. 3 You hurled me into the deep, into the very heart of the seas, and the currents swirled about me; all your waves and breakers swept over me. 4 I said, ’I have been banished from your sight; yet I will look again toward your holy temple.’ 5 The engulfing waters threatened me, the deep surrounded me; seaweed was wrapped around my head. 6 To the roots of the mountains I sank down; the earth beneath barred me in forever. 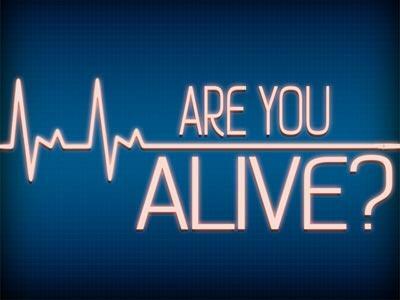 But you brought my life up from the pit, O LORD my God. 7 "When my life was ebbing away, I remembered you, LORD, and my prayer rose to you, to your holy temple. 8 "Those who cling to worthless idols forfeit the grace that could be theirs. 9 But I, with a song of thanksgiving, will sacrifice to you. What I have vowed I will make good. 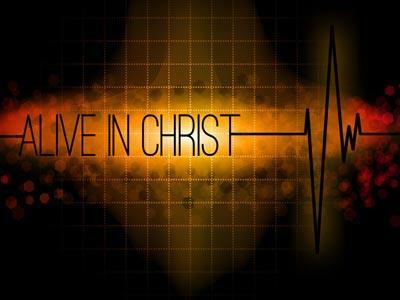 Salvation comes from the LORD." Exegesis: From the previous paragraph, we know that Jonah was “inside the fish three days and three nights.” Chapter 2:1-10 clearly a transition from what was happening on the boat to what is happening in the belly of the fish; this marks the paragraph scene change. There’s clear ending in thought here when the writer culminates the scene with Jonah being regurgitated onto “dry ground.” The scene again changes from inside the fish in 2:1-10, to what happens on “dry ground” in 3:1. The point of this scene is very clear, verse 4a “’I have been banished from your sight;. . .” and verse10, “And the Lord commanded the fish, and it vomited Jonah onto dry ground.” Jonah admits he was been "banished" in the belly of the fish, he was "hurled" into the "deep" by YHWH. Out of Jonah own confession is identifying that his current situation was an act of YHWH and so is his deliverance. Everything else that is described here is mere details of his incarceration and deliverance. But then Jonah prayed to YHWH from the deepest mires of despair. Jonah look to the YHWH. Jonah was in a prison of flesh that was eating away at him. Nowhere to run now, nowhere to buy a passage out of his situation. Jonah has been placing YHWH on ignore and giving Him the hand of rejection. It clearly stated in 1:17a, “17 But the LORD provided a great fish to swallow Jonah.” YHWH was clearly and literally placing Jonah in “time-out” with no escape. From the human perspective, he was doomed to die. Inside the belly of a fish in the depths of the ocean swimming who knows where. Jonah was no doubt “banished” from the land of living and into belly of fleshly death. Swirling in a belly sack of sea water, dead rotting fish that are in mid process being devoured, sea weed, and the fish’s stomach acid. Incased into a prison of living flesh and involuntarily thrashing in utter darkness while striving to gasp for air, spitting out small bits of waste and half-digested food that happen to accidently be inhale. The intoxicated fumes and taste of dead ocean carnage and absolutely no possible hope of rescue or deliverance from this living nightmare. Banishment and devoured out the known world of the living. Out of the sight of man and into the loneliness of darkness and rotting foul carnage of despair. A fleshly prison that barely provided to room enough to twist and turn in; most likely just a little more room as a baby has inside an expecting mother. No room to stand up, walk around, no solid walls , no light, no exits and absolutely hope. He was in utter terror and completely trapped into a fleshly prison of devouring death that was consuming his body. Jonah was in a place of utter hopelessness and needed someone who was supernatural. The Salvation of YHWH, please see resources for background information on Jonah.